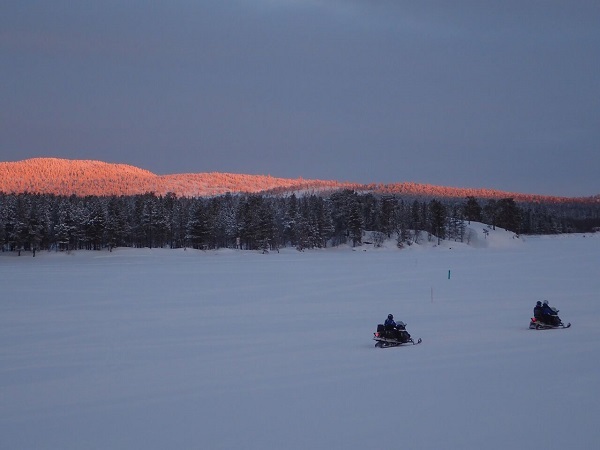 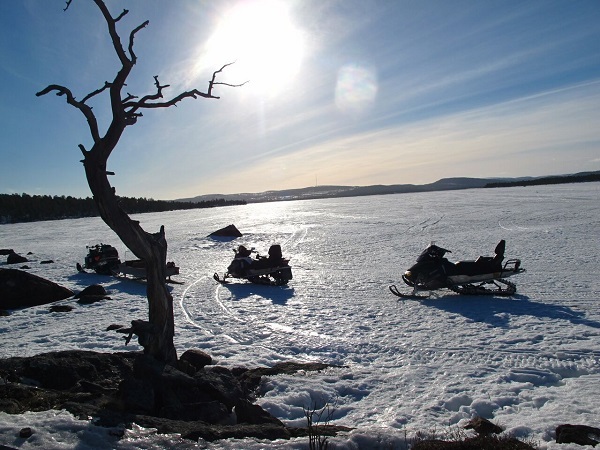 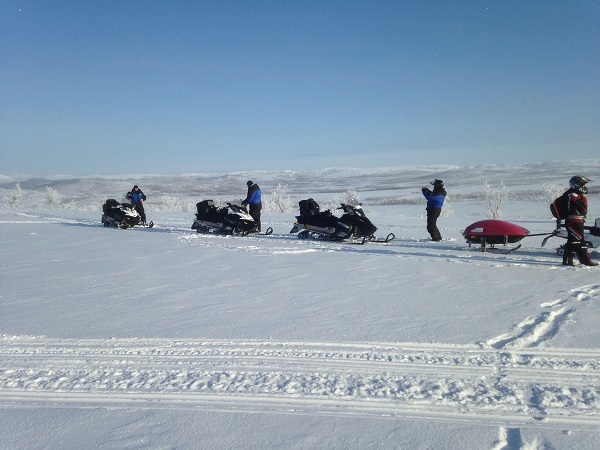 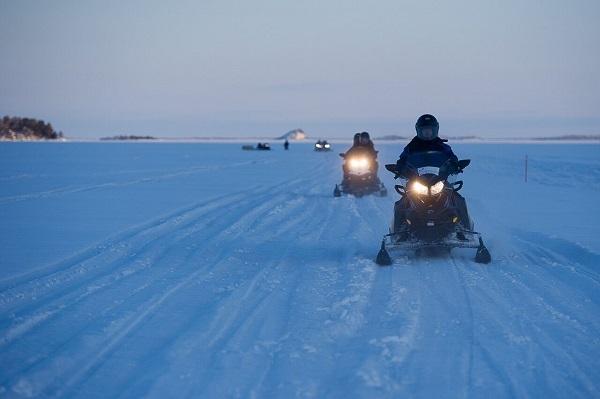 This snowmobile safari will take you across the frozen Lake Inari, also known as the Sámi sea, to some of the historical sites of the surrounding area. 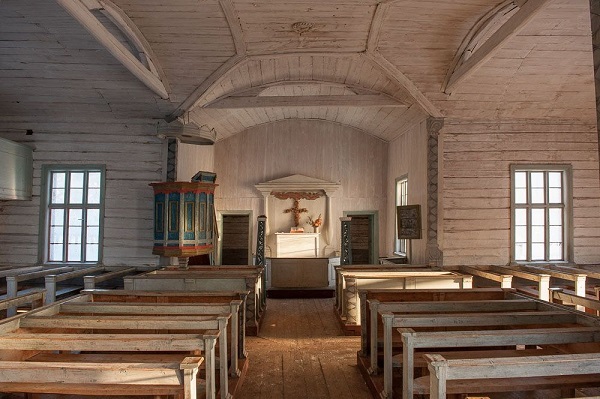 We will visit what was once the old Sámi winter village center in Pielpajärvi, where now only the wilderness church remains. 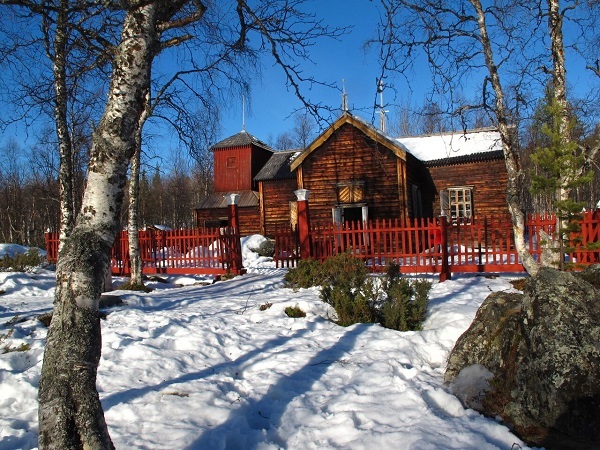 We will also pay our respects to the rugged ancient Sámi sacrificial island, 'Ukko's Rock'. 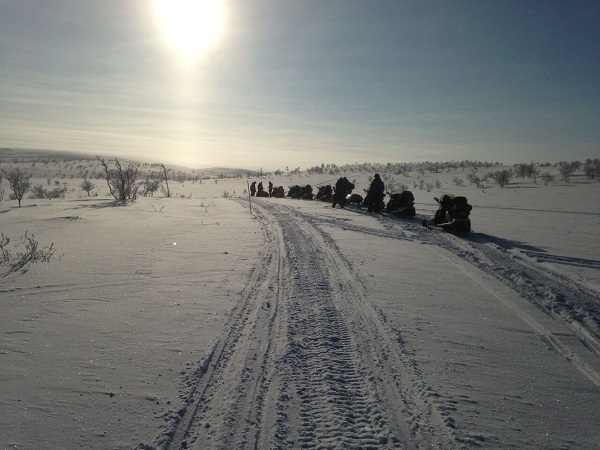 During the safari there will be a break with coffee and snacks by the open fire. 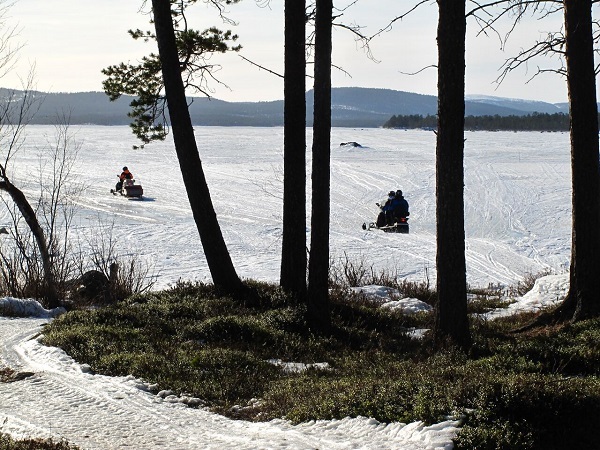 • 119 € / child 4-11 yrs.